The target audience for aviation services are people who are willing to spend more for comfort and safety. It is imperative to ensure quality of the service provided. Building an effective online presence is the first and foremost step in this regard. 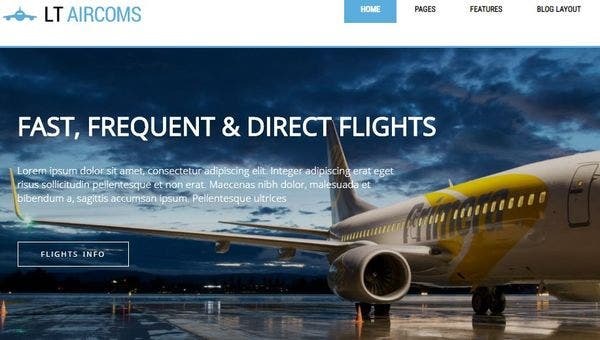 Listed below are some stylish airline and travel WordPress themes to make your aviation website unique and eye-catching. These are easy to implement and do not require much time and expertise. Tours and Travels WordPress theme has a clean and stylish design. The theme is best suited for airlines and travel agencies. It is highly responsive and compatible with all the major browsers. The error-free codes, google fonts integration, easy demos and ajax filters make it a popular choice among users. 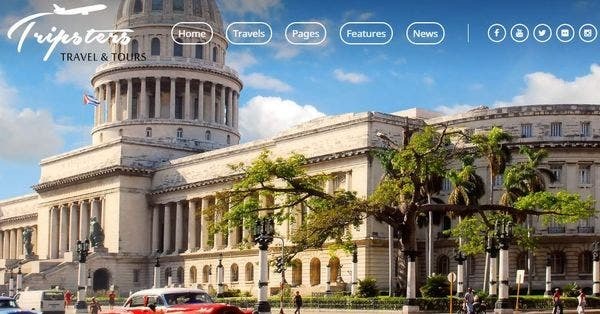 Travel agency WordPress theme comes with a unique, clean and simple layout. You can choose from an array of designs for your website. 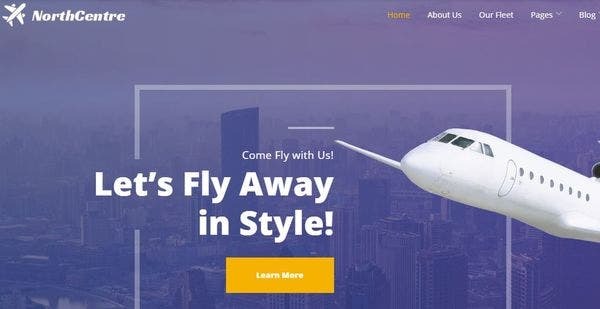 Ideal for travel agencies and airlines, the theme is well equipped with powerful admin theme panels, cross browser compatibility, ajax filters, social media integration and various other amazing features! 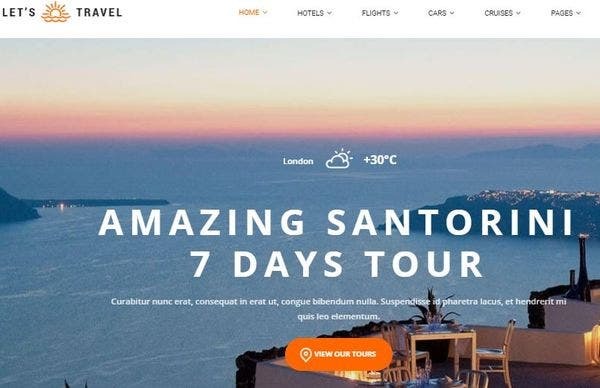 Travelo is a multipurpose travel WordPress theme designed for flight, hotel, and car booking websites. It has a super-efficient booking module to give your customers a hassle-free experience. The theme also some amazing dashboard pages, custom icons and ajax image gallery. 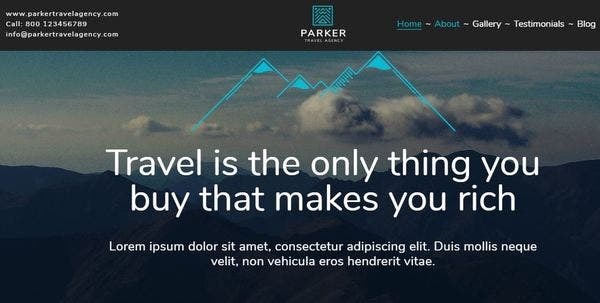 These make your website’s interface unique, attractive as well as intriguing! 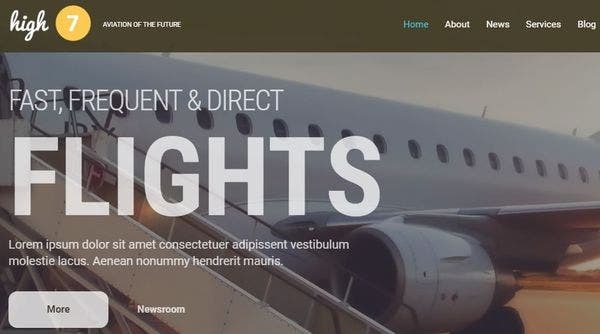 One of the most responsive and mobile friendly air travel WordPress themes, North Centre WordPress theme is SEO optimized to drive most traffic to your aviation service website. The package consists of amazing cherry plugins, many layout options, content modules, custom widgets and live customizer to enhance the functionality of your website. 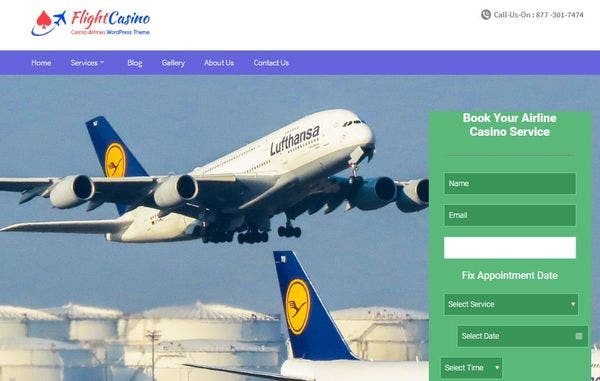 Flight casino is one of most customizable travel agency WordPress themes. It is perfect for companies like flight pool halls, airway gambling houses, air company clubs and various others. The theme is well-equipped with front page customizer, cross browser compatibility, and a lot more. It also allows for social media integrations. Jet One modern travel WordPress theme is the ideal choice for airlines website. 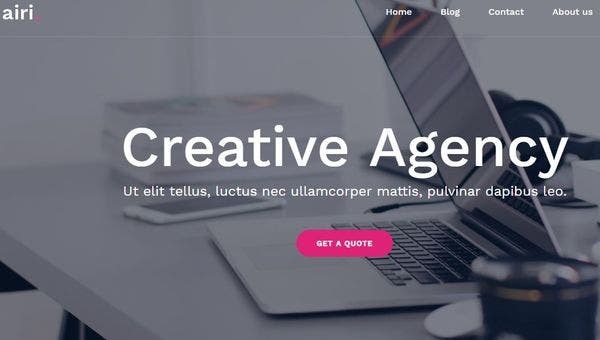 The theme comes with visual composer, WordPress customizer, unlimited color options, demos, google fonts library, parallax effects, sticky navigation and many other stunning features. It also provides 24/7 online support and pre-sale live chat to answer your queries. 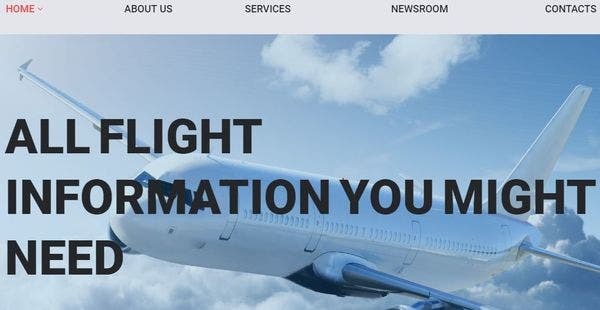 LT Aircoms comes with a very clean and simple airline website design. Only designed for airline websites, it has high quality images and amazing typography to enhance the aesthetics of your website. Designed with genesis framework, the theme also has audio and video player integration, elevating the user experience to another level! 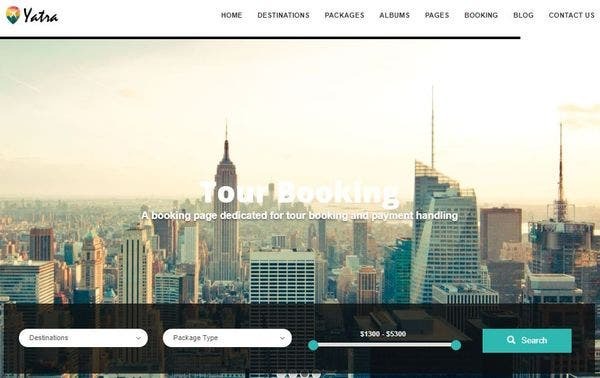 What makes Embark stand out from other WordPress themes is booking, payments and scheduling bundled together in a single theme! With numerous page templates and custom widgets, it helps to come up with the best possible layouts for your website. Integrations with popular payment gateways like PayPal makes bookings hassle-free. Airfares is a very stylish, flexible and easy to use theme. Designed with cherry framework, the bootstrap functionality WordPress theme making it responsive. It has some kickass features like advanced theme options, Crossbrowser compatibility and more. Web forms allow you to connect and coordinate with your customers and clients. Let’s travel is one of the most versatile themes with stunning homepages and graphic options. These make your aviation website attractive and coherent. Features like visual composer elements, ajax photo gallery, revolution sliders and advanced content search and live customization options are responsible for the popularity of the theme. High 7 has a contemporary layout with parallax backgrounds and engaging designs. It gives you design flexibility with many short codes, retina ready images, color options and creative fonts. High 7 is a social media ready WordPress theme. The in-built theme customizer allows you to edit your website with great ease. 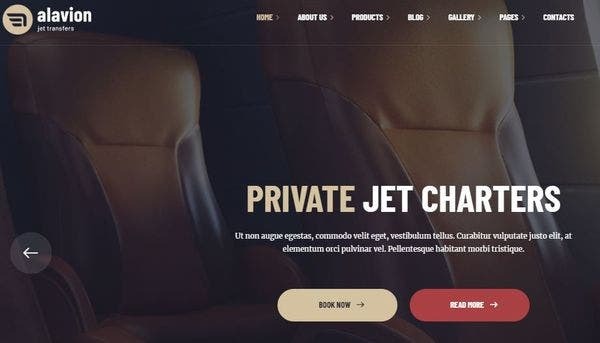 Alavion is the ideal theme for airline companies, airplane charter, jet service, air taxi and various others. The travel WordPress theme comprises of many creative homepages, animation, blogs, product catalogs and so much more! It is also compatible with some of the best premium plugins like Woo commerce, WPML and many others. 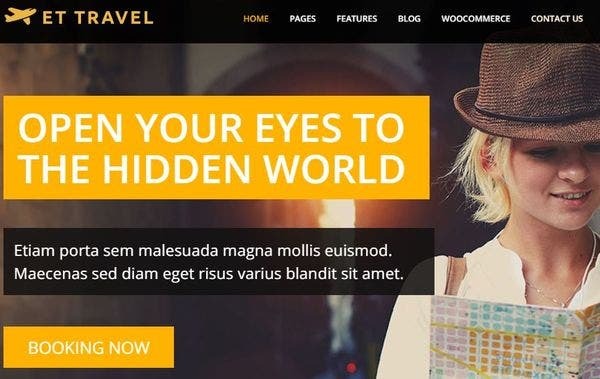 If you are looking for a theme with dramatic layouts and high-quality images, Travel WordPress theme is just the just choice. 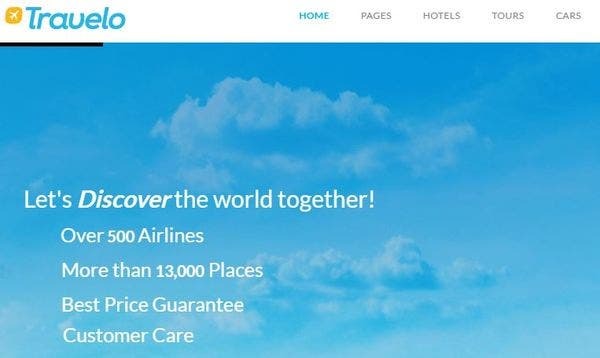 Exclusively designed for travel agencies and airlines, the theme is curated with some amazing features to design your website in the best possible way! PayPal integration makes your bookings hassle-free. 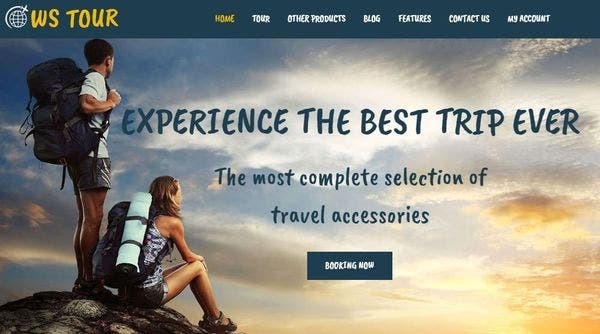 What makes Extreme travel blog WordPress theme special is its responsive and spacious design and clean typography, which makes it easy for your readers to focus on the content. 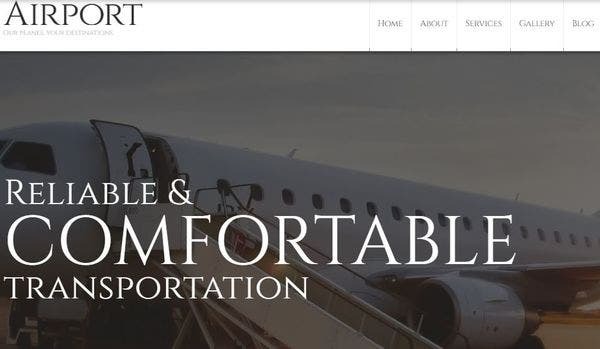 The theme has everything required by travel agencies and airlines services; commenting options, client testimonials, social media integrations and so much more. This premium travel WordPress theme comes with a rich and elegant design. The easy drag and drop technology lets you build and edit websites with great ease. It has all the necessary services your customers would look for in your website; package tours, flight bookings, tour guides intros and so on! 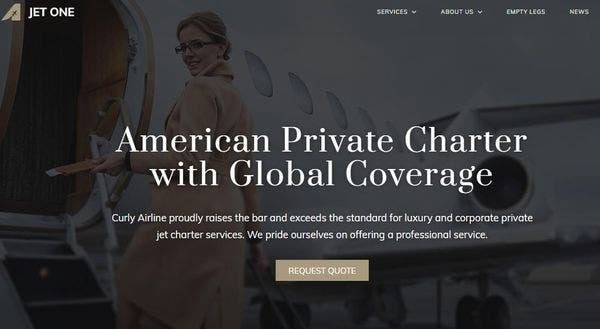 Private Airline is a multilingual WordPress theme which means you get a wider global reach. Its inbuilt theme customizer allows you to come up with different layouts. You can share images with the amazing slider feature to give a dramatic appeal to your website. Social sharing option ensures effective online presence. 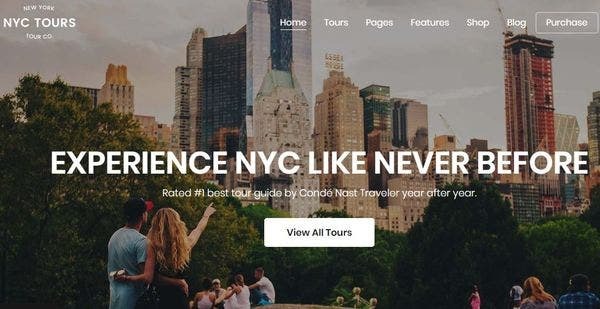 Tripsters tours and travels is one of the simplest yet impressive WordPress themes. It works well for holiday companies, airline services and travel agencies. The theme has a responsive layout WordPress theme and the good news is it comes with free support and updates for lifetime! It also provides amazing portfolio templates. 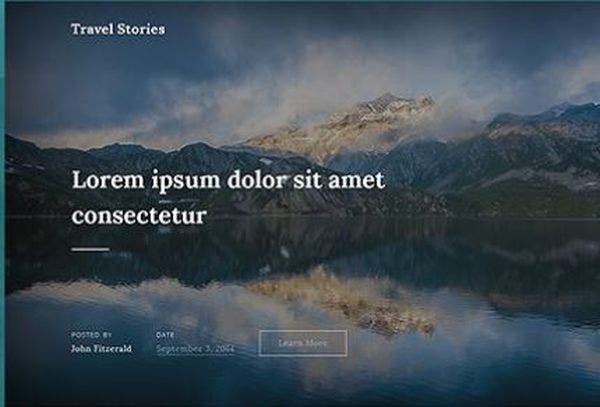 Travel stories comes with a fresh and clean design. It is best suited for travel agencies and airlines and hotel accommodations. The theme is packed with some top-notch features like animated image slider, fluid layout, threaded comments, crossbrowser compatibility and a lot more. Its also compatible with powerful WordPress plugins. 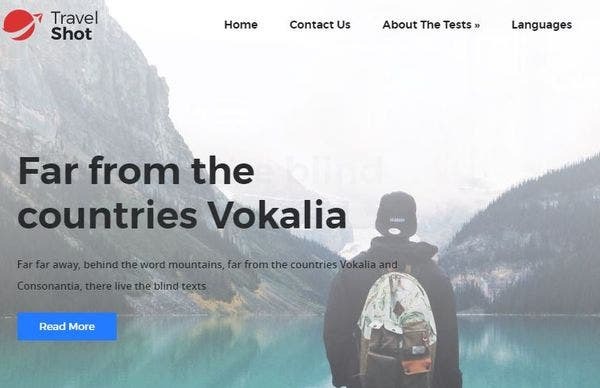 One among the fully responsive and mobile friendly WordPress themes, World Travel theme enables you to present your content in an attractive and intriguing manner. Features like easy installation, infinite scroll button, full screen slide show, dark and light style, and unlimited sidebars contribute to the popularity of the theme. TravelShot beautiful WordPress theme is best suited for travel agencies, airlines and even personal blogs. The dynamic content loader, sliders and custom widget enables you to come up with different layouts for your website. The theme is compatible with all the latest WordPress versions. It also has with social sharing options. 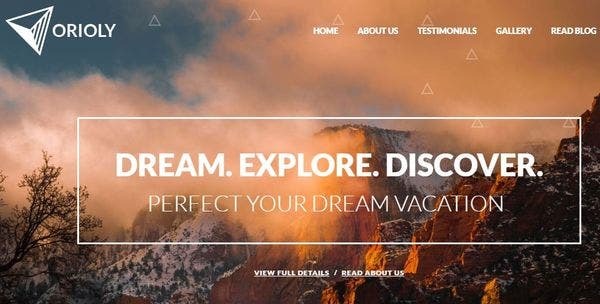 ET Travel is one of the most unique premium WordPress themes. It is designed exclusively for travel agencies, airway services and tour guides. The theme has a simple, clean and minimalistic style. It is loaded with features that allow you personalize your website to meet diverse requirements of your clients. 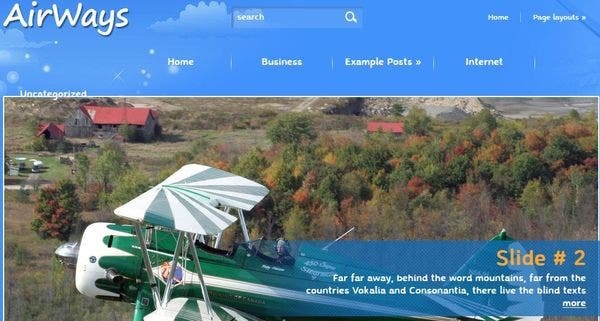 So, these were some of the best themes for your Aviation website. Choose the best one that meets your requirements.